Tell a family member, a friend or a colleague about Bella Care Home. Send your recommendations to us online. Consult with our care coordinators at Bella Care Home! You can also meet our staff when you tour our home. It might seem boring for most of the elderly population especially that they are aging and cannot engage in activities that they used to do in their youth. This might also pose as a cause for a senior citizen’s sudden feelings of irritability and depression. If your elderly loved one is staying at a home facility, then it isn’t a big problem if he/she is staying at Bella Care Home LLC. 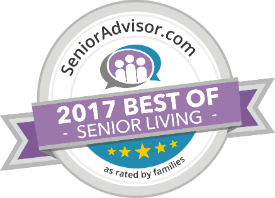 We here at Bella Care Home LLC always make it a point to let the elderly feel good about themselves, especially now that they are aging. Here are some of the activities that can make your elderly loved one stay active and happy at the same time! If the elderly person is fond of going outdoors, it is still possible for him/her to enjoy the beauty of nature and his/her surroundings. He/she can engage in activities like birdwatching, fishing, gardening, picnics or just simply interacting with other people by taking a brisk walk in the park. If it is still allowed by the physician or doctor, a senior citizen can still engage in fitness activities like simple dancing and exercises. Pop culture may have identified senior citizens, especially grandmothers, as the type to sit down on a rocking chair and do cross-stitching or sewing. Seniors with physical limitations can still learn a new hobby or continue a hobby they used to do in their youth. Painting, drawing, knitting, crocheting, scrapbooking, flower arranging, and woodworking can be some of the options the elderly could take. Even photography can be a good option, now that photos are regarded as a trend in social media. The feeling of having a product finished can be very rewarding for the elderly. Some of the senior citizens may want a hobby that will challenge them mentally. Board games like scrabble, chess, Trivial Pursuit, Monopoly can still be played and enjoyed by the elderly. Word-finding books and all sorts of puzzles (from crossword to Sudoku) can also give the elderly a sharp mind and a high level of satisfaction. Here at Bella Care Home LLC, we believe that being healthy equates to being happy! We can let our beloved seniors experience these recreational activities since they are never too old to have fun. These hobbies and activities can surely help the elderly love themselves even more and achieve greater heights in the search for life’s meaning. With our excellent living facilities and well-trained staff, your elderly loved one will never have a dull moment again! We are just a one call away through 559-259-6228 or 559-905-5538! 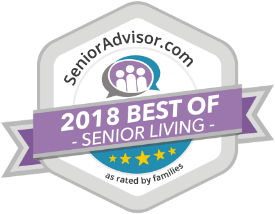 This entry was posted in Home Care and tagged assisted living facility, Bathing and Toileting Assistance, Eating, Health Services, home care services, personal care, Personal Hygiene and Grooming. Bookmark the permalink.